Maggie Hassan is working the room, shaking hands with members of the Seacoast’s financial industry at the largest rotary club in New England – in Portsmouth. She’s 54, and running for Governor on a platform of investment in education and job training, and healthcare expansion. Before she begins yet another stump speech, the Rotarians recite the pledge of allegiance, then sing together. She’s not a bad singer – Maggie Hassan. She says she sang in church and school choirs from childhood, through her college years at Brown University. Hassan grew up in Lincoln, Massachusetts – a well-to-do suburb of Boston. Her father was a professor at MIT. Later, he worked as the undersecretary for Housing and Urban Development under Lyndon B. Johnson. Hassan’s mother was a teacher. Sue Krehbiel went to Lincoln-Sudbury Regional High School with Hassan. When Krehbiel’s parents moved to Minnesota during her senior year, she moved in with the Hassan family. They lived in this great old wonderful old New England house in Lincoln at the top of the hill that had an old grass tennis court in the back. I mean there were signed pictures of JFK in the study, and they would sit at the dinner table and have conversations about current events. They were talking about major right and wrong in the world kind of issues. My parents always wanted to hear from everybody. All three siblings would bring friends over, not to mention her father’s colleagues and mother’s friends. And so it just wasn’t unusual for us to have a whole lot of voices at the table. For the last 24 years, Maggie Hassan and has lived in houses owned by Philips Exeter Academy – where her husband is the principal. The house they live in now looks grand from the outside. Inside, it’s decorated pretty modestly. Hassan’s family is gathered around the kitchen eating leftovers. There’s a funny shaped island in the middle of the room. The counter was designed so that Ben could pull up with his laptop, but this is the hub of the household. Hassan’s son Ben is listening to the radio in a bedroom next to the kitchen. He’s 24, and has cerebral palsy. … oh Ben it’s Call Me Maybe, A cultural reference that Ben, I actually do know. Just, sayin'. I just want you to meet Ben, he’s raising his hand to say hi, he can say yes, he can say hello, he can understand everything but can’t speak. A lot of voters in New Hampshire know Ben’s story, because Hassan talks about him frequently on the campaign trail. New Hampshire’s way of including our son Ben in civic life and in schools really speaks to the culture here. And the Maggiecare bill would have been funded through taxes on our hospitals, and our providers. That is not the direction we should be going in. Hassan ended up having to negotiate with members of her own party, who were against the bill. Former Senator Deb Reynolds initially voted against the gay marriage bill. She says Hassan was a savvy negotiator. Maggie was very constructive in getting us to a place where the language of the bill was refined, and making sure that other Senators were comfortable with the language. Hassan’s colleagues say that she enjoyed her position of authority in the Senate. Republican former Senator Bob Clegg says she had a respect for everyone, but was bent on carrying the party line. But it was also obvious to many of us that she had higher aspirations, so her position was based on what Washington DC would want, rather than what we believed New Hampshire would want. But, Clegg says he doesn’t think Hassan ever did any harm to the state. In fact, he says he and Hassan had a special kind of friendship while they were Senators. 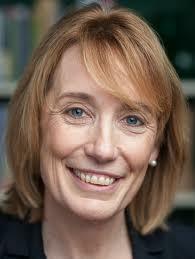 And Maggie Hassan – she talks nostalgically about the bipartisan camaraderie of the legislature. Hassan may love that team spirit – but if she can make her way to the Governor’s seat, well – you’re on your own up there. She's been a business attorney, a state Senator, Senate Majority Leader and now the Exeter lawyer, Maggie Hassan wants to be your next Governor. Hassan defeated Jackie Cilley and Bill Kennedy in the state primary this September to be the Democratic Gubernatorial candidate but still needs to get through her Republican challenger, Manchester attorney, Ovide Lamontagne. Today we sit down for the hour with Maggie Hassan, talk with her about where she stands on the big issues facing the state and why she says she'd be the best next person to sit in the State House corner office.